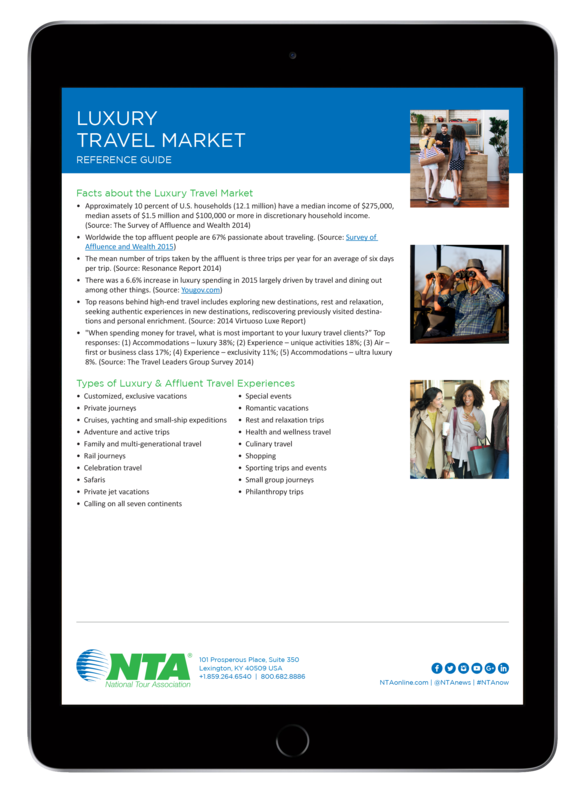 49 percent of NTA tour operators serve the luxury travel market in some form. Abercrombie & Kent voted World’s Leading Luxury Tour Operator by World Travel Awards and Best Luxury Tour Operator by Travel Weekly and Luxury Travel Advisor. Uniworld named Best Luxury River Cruise Line by Cruise International Awards. 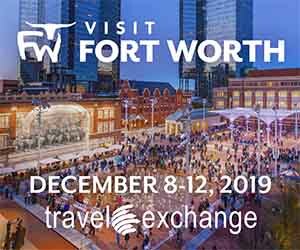 Portrait of Affluent Travelers survey ranked Holland America as the No. 1 Preferred Cruise Line. Washington State’s The Davenport Hotel has welcomed film stars, explorers, writers, politicians and other luminaries for more than 100 years including Charles Lindbergh, Amelia Earhart, John F. Kennedy, Babe Ruth, Bob Hope, John Travolta, Bill Cosby, Jay Leno, Carrie Underwood, Ringo Starr, Taylor Swift and numerous others. Grand Hotel on Mackinac Island is ranked as Travel + Leisure’s 500 World’s Best Hotels and by the National Trust for Historic Preservation as One of a Dozen Distinctive Destinations. The Fairmont Royal York has played host to some of the world’s most elite clientele. The Beau Rivage Resort and Casino was named one of the top 100 hotels in the U.S. and Canada by Travel + Leisure Magazine. Nottoway Plantation is the largest remaining antebellum museum and member of Historic Hotels of America, the official program of the National Trust for Historic Preservation honoring the finest historic hotels. The Red Lion Inn in Stockbridge, Massachusetts, is a member of the Historic Hotels of America and has been welcoming travelers for more than two centuries dating from 1773. Jekyll Island Club Hotel is ranked among top 500 resorts in the world by Travel + Leisure and is a National Historic Landmark listed on the National Register of Historic Places.